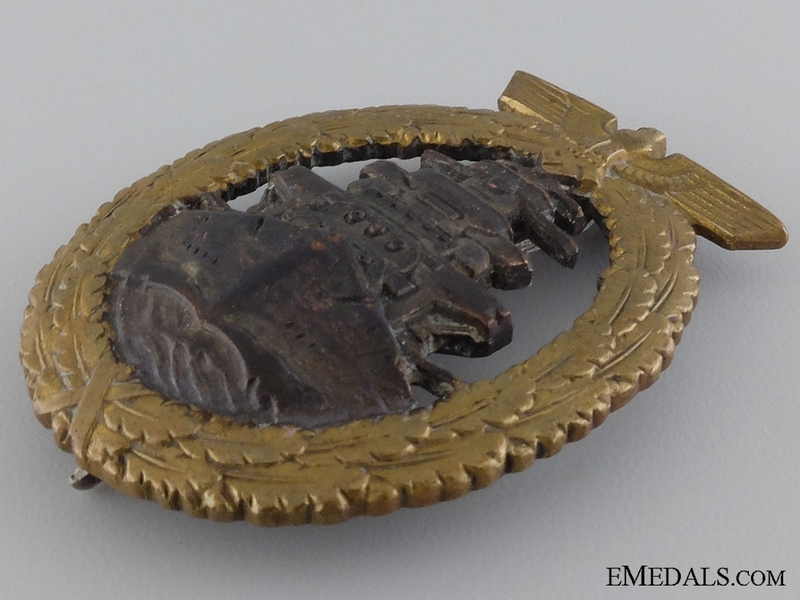 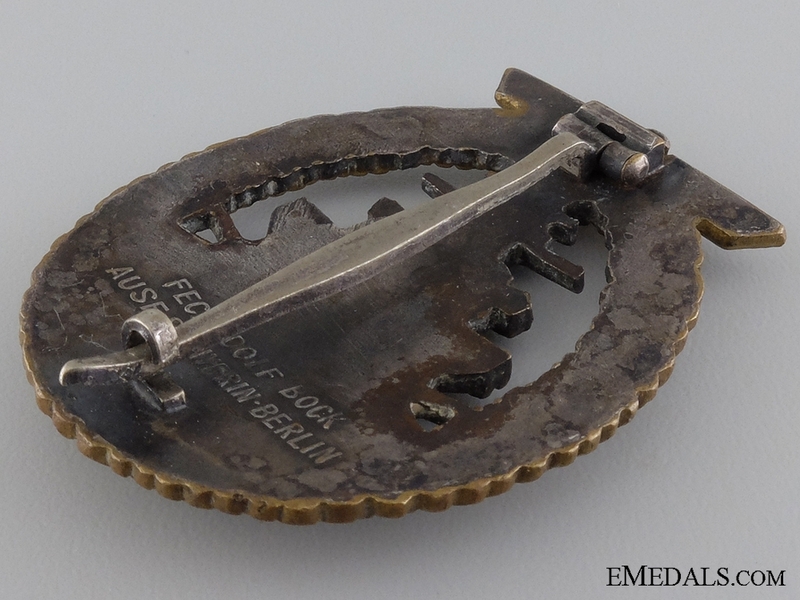 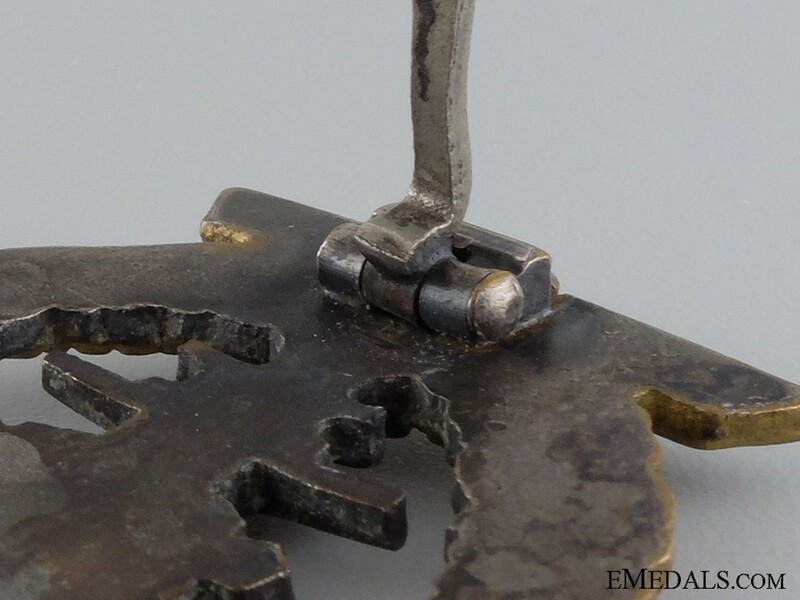 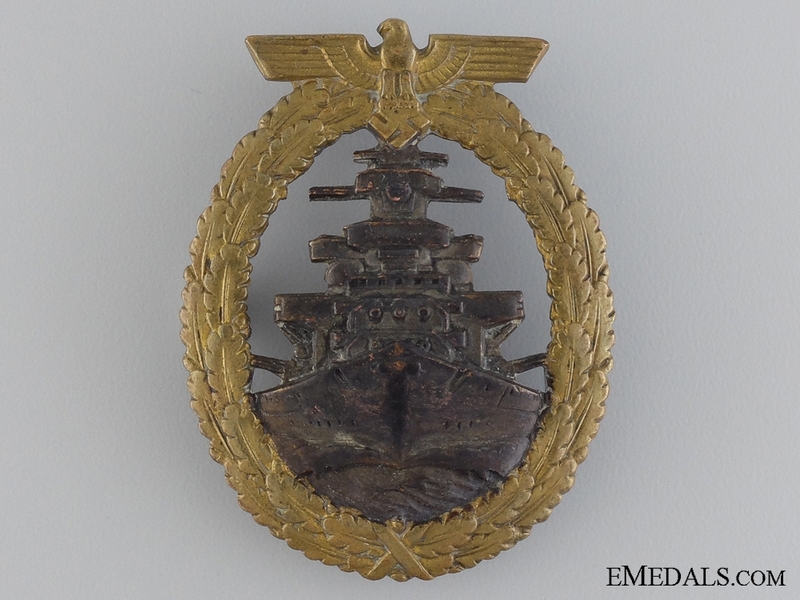 A Kriegsmarine High Seas Fleet Badge by Schwerin, Berlin - Gilded tombac, maker marked "FEC. 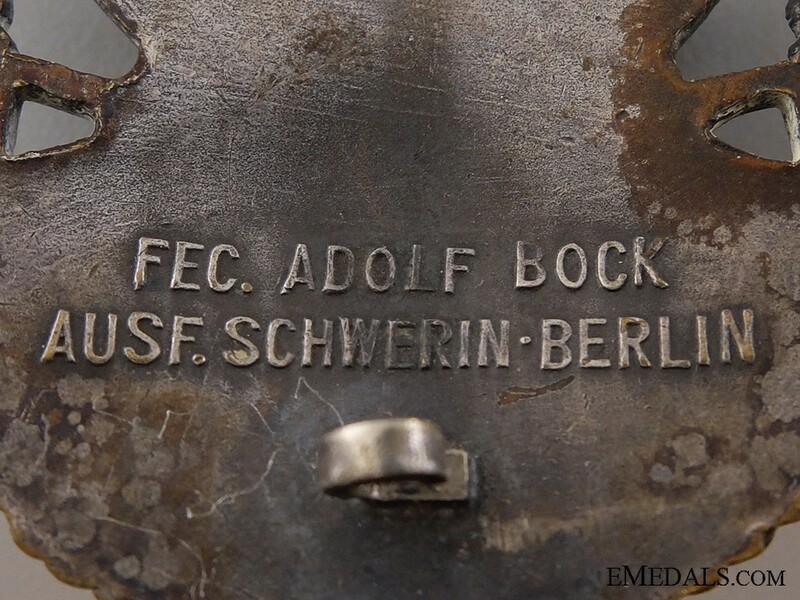 ADOLF BOCK / AUSF. 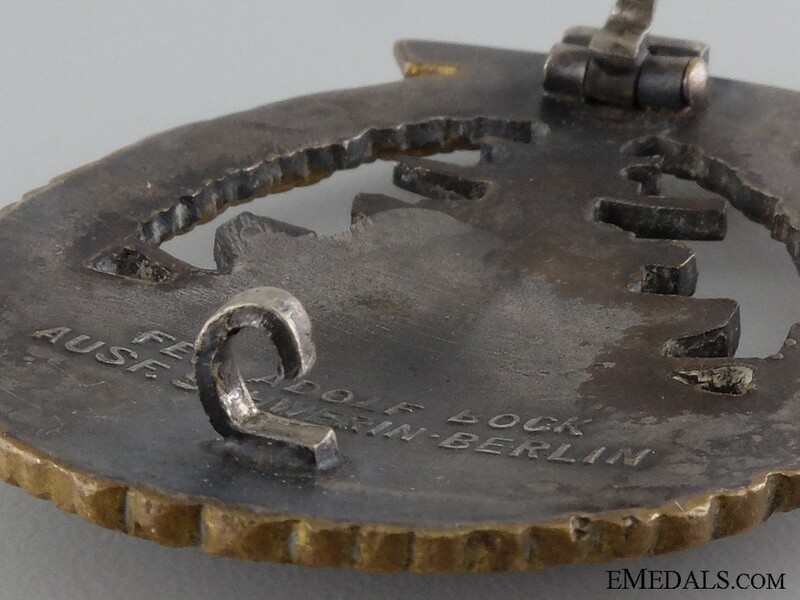 SCHWERIN. 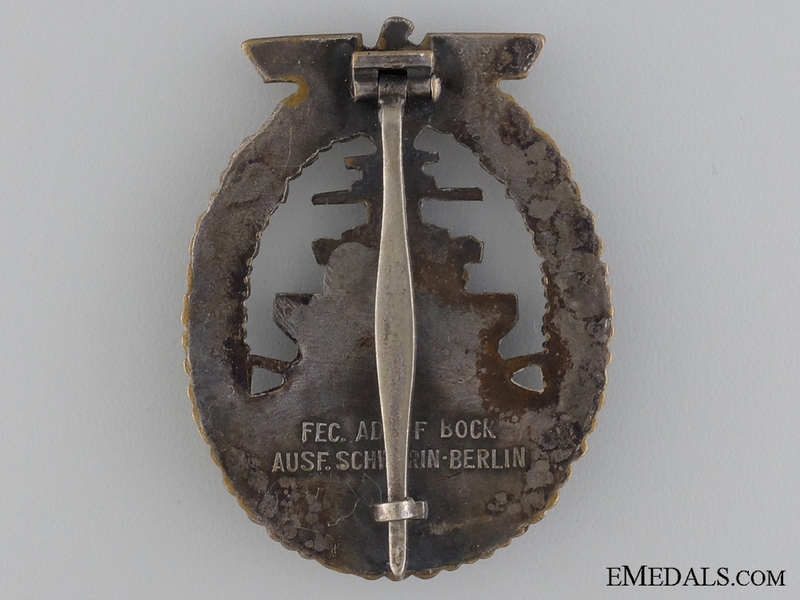 BERLIN" on the reverse, 43.8 mm x 57 mm, vertical pinback, light contact, near extremely fine.